I've been spending a lot of time with my Smarties talking about ratios and writing ratios as decimals over the past week. Even before there was Common Core, I always tried to find a way to make our math lessons interesting and fun. I try to bring in sports as much as possible. Usually this will keep my class interested. 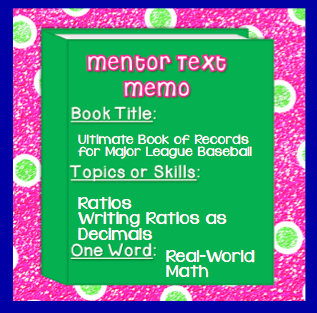 Today I'm linking up with some of my BBBs, Amanda and Stacia, those Collaboration Cuties for a little Math Mentor Text. 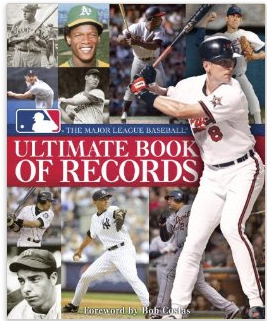 I've also used the media books for basketball and hockey. With our snow starting to slowly melt, everyone is getting itchy to start baseball and softball practice, so I find baseball or basketball stats (March Madness anyone?) work best. 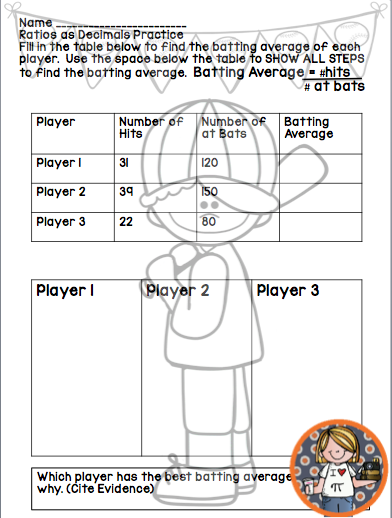 We use the books to find famous baseball player's batting averages and number of hits compared to at bats. Of course, what we learn is pretty basic, but it does get my kids talking about math, and that's what I want! I teach them how to write a ratio in fraction form, and then turn the ratio into a decimal by division. Then we look up the batting average of a player in a given year, and based on his number of at bats, we find the number of hits that he had. They love to do this for famous players. I love that you are making real world connections with statistics! Now they won't ask why they need to know this! Thanks for linking up friend! 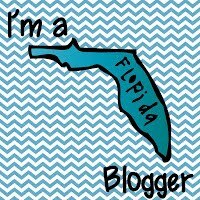 Sparking Student Motivation: Meeting an Author! 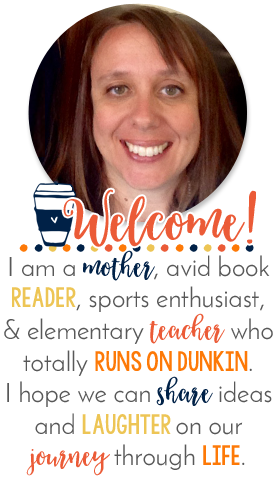 Teaching Theme with I'm Lovin Lit and a Giveaway!